Public transit advertising brings a brand’s message to consumers through a variety of deliveries and locations rather than waiting for them to discover it on their own. In fact, public transit has the potential to reach over 90% of a given market. Public buses reach people in all corners of their community. From city centers populated through the work day, to residential neighborhoods, to busy malls and nightlife areas in the evening. Not to mention these buses dot the busiest highways and city arteries. Quite simply, any advertisement is hard to ignore when it’s rolling down the street via a 15-ton city bus. Transit ads command attention along busy streets and keep your unique story at eye-level for all to see. 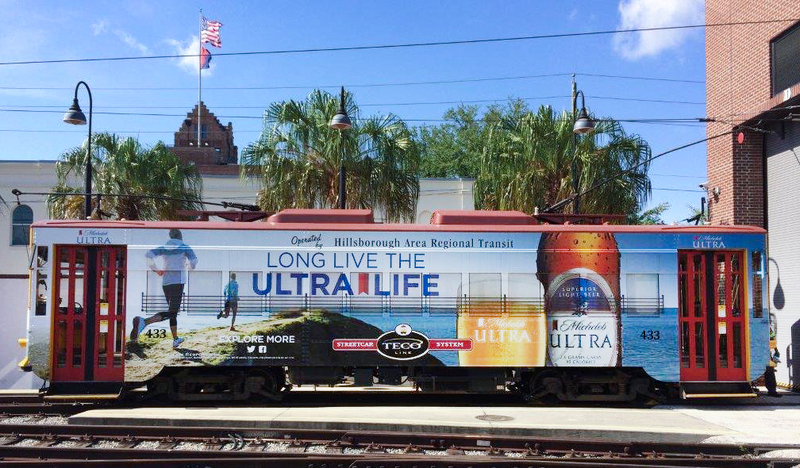 Transit advertising leaves a lasting impression on passengers, pedestrians and vehicular traffic. Plus, the prevalence of public transit means that your message will collide with consumers several times throughout the day, and that type of frequency is hard to match. When looking at placement options, there are a number of premium placements, including full-wrap buses that have the potential to be jaw-dropping showstoppers. These large-scale wraps are a unique canvas allowing for ultra-creative adverts that can make a big splash. There are other cost-effective options to reach this wide audience: interior signage, side panels, rear-facing placements, and more. Either way, there are options available for companies of all sizes to take advantage of city buses on the move. In addition to being eye-level and unmissable, transit advertising brags is one of the most efficient ways for brands to get the word out. Transit ads boast a lower CPM (cost per thousand impressions) than any other major advertising medium. While the variety of offerings ensures that there’s game-changing opportunity for any advertising budget. 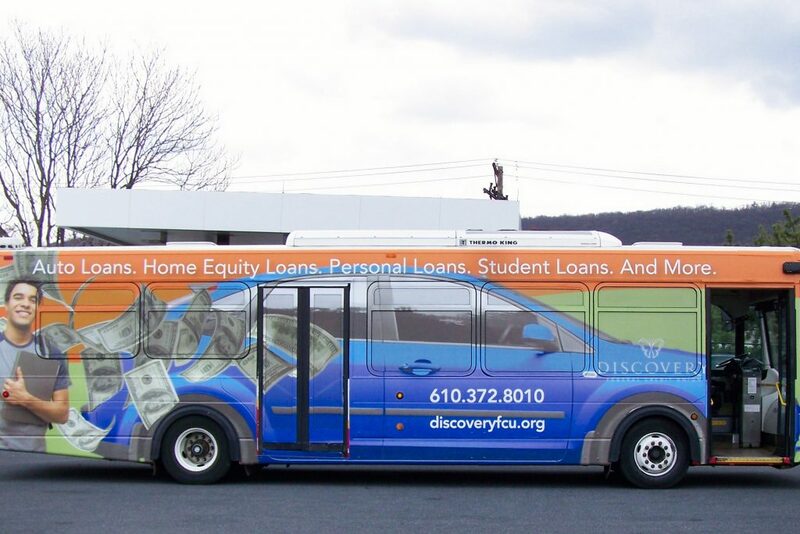 Public transit and city bus advertising is a go-to for outdoor advertising pros. Near-continuous exposure, can’t-miss messaging, and incredible reach is resulting in consumers experiencing greater recall, brand awareness and preference. As the industry continues to innovate, one thing’s for sure: advertising on public transit is here to stay. Reach out to the Vector Team.